• Supertwist #30 Crystals kit is packaged in Madeira''s 12 spool plastic carry case. 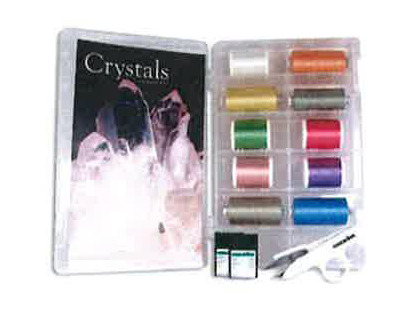 This awesome kit contains 10 pre-selected crystal colors of Madeira's popular supertwist thread. Each spool contains 1100 yards of shades of aqua thread and is perfect for any project.